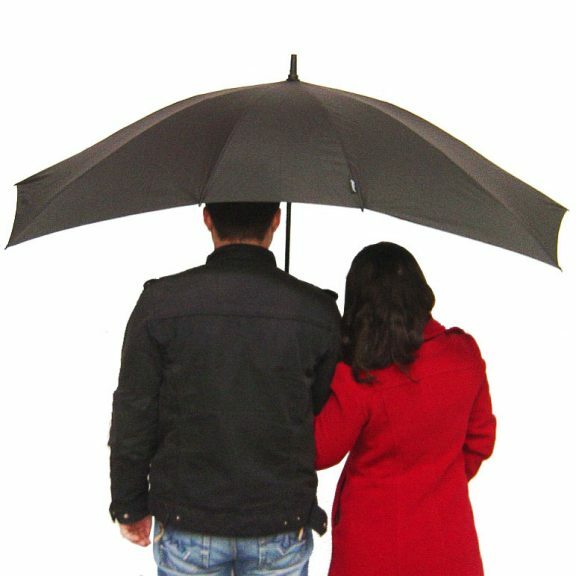 Extra wide umbrella - Special Offer DUO Black - an umbrella for two! 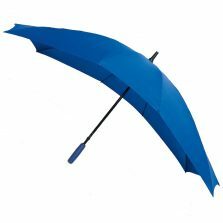 This innovative extra wide umbrella is another of our “grab one at the checkout” mega deals to say Thank You for your order. Usual price of our DUO twin umbrellas is £19.32 + carriage. Right now you can order one for just £8.40 and we’ll pack it in with your order, so you pay no more extra for shipping. Here at Umbrella Heaven we love innovative umbrellas and these extra wide umbrellas are a great example. They’ve been designed specifically to be shared by two people walking side by side. Buy one today and cuddle up close – your partner is sure to be surprised and impressed at your thoughtfulness. 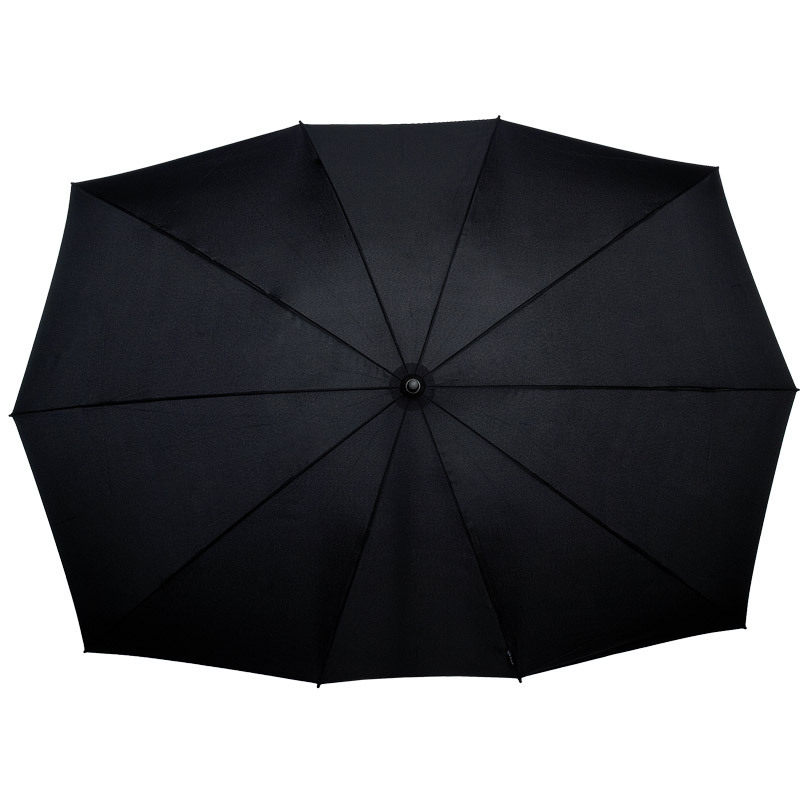 These ‘DUO Black’ king size, extra wide umbrellas are great (in more ways than one). Closed they really don’t look very big at all. However, when they’re open these umbrellas are easily big enough for two. Perfect for couples, ideal for wet weddings and social or sporting events. 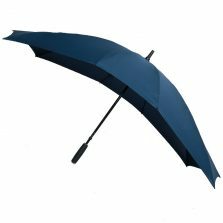 With a comfort grip straight rubber handle, fibreglass shaft and frame this 10 rib rectangular umbrella is strong, lightweight and windproof. This really is one very wide umbrella. It has a huge canopy coverage of 144 cm (56.5 inches) x 96 cm (38 inches). 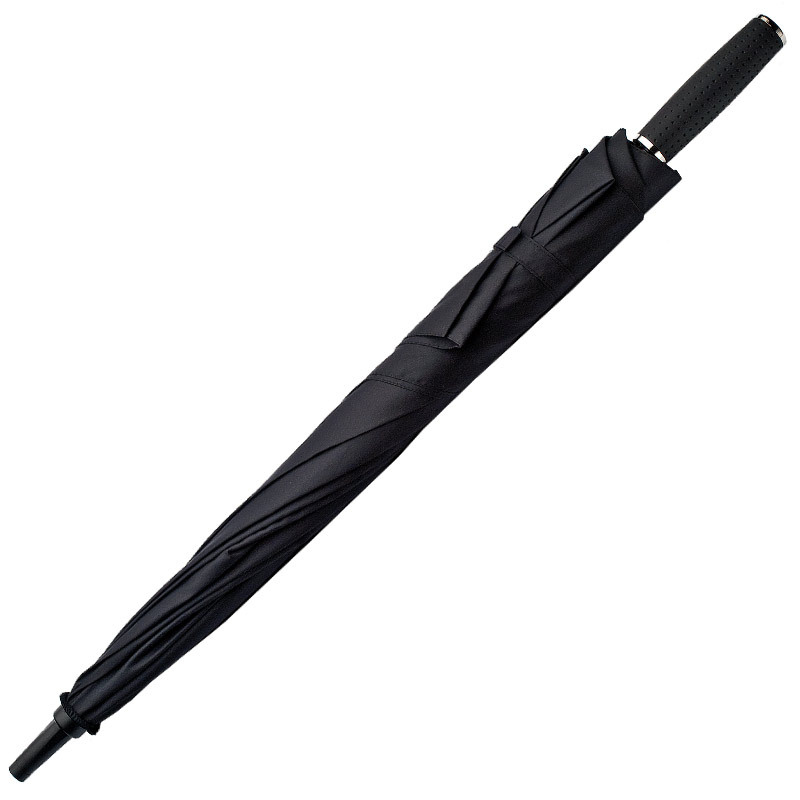 Overall length from handle to tip, however is just 81 cm. Weight 584 g approx. Keep one in the car ready for that next weather emergency. 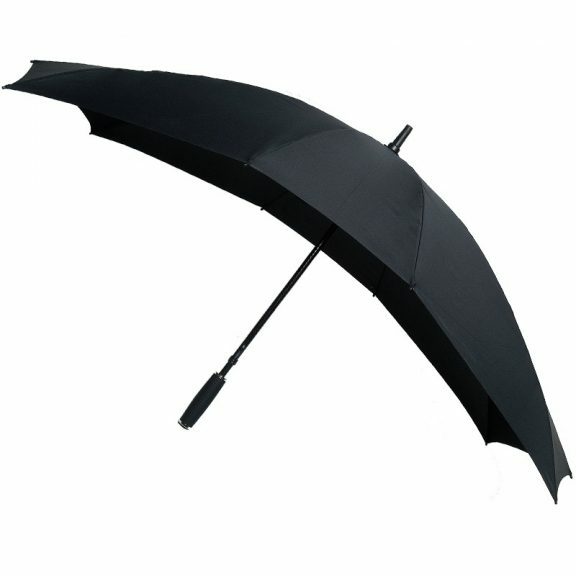 The DUO extra wide umbrella is great for weddings, funerals … romantic couples on Valentines Day perhaps?! Grab yours now while stocks last. 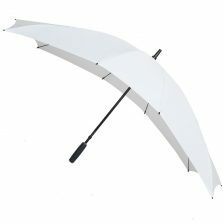 Very pleased with this duo umbrella – much easier than walking with 2 singles! Lightweight and easy to grip handle. Have not had high winds to contend with yet. Excellent value for money.